Seeking A Dallas Amputation Injury Lawyer? Get A Free Consultation Today. If you or a loved one has lost a limb due to the careless or negligent actions of another person or business, you have the right to pursue compensation for your losses. At the Glenn Law Firm, we can provide you with the strong representation you need at this time. David Glenn has more than 30 years of experience handling complex personal injury cases for clients throughout Dallas and surrounding Texas communities. He has the compassion to understand your loss; he has the skill and experience to get results. Call us today at 817-424-5999 to arrange a consultation with a knowledgeable Dallas-Fort Worth amputation injury lawyer. An amputation injury will leave you with a lifetime of hardships and expensive medical needs. You need a lawyer who can fight for the compensation you will need to pay for medical bills, adaptive equipment, physical therapy, rehabilitation, medication, and other needs. Personal injury law also allows amputation victims to pursue compensation for pain and suffering, diminished quality of life and other non-economic hardships. 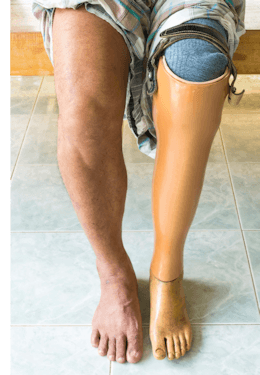 If you or someone close to you has suffered the loss of a limb due to the negligence of another, our law firm is here to help you pursue justice and compensation for your losses. Call us at 817-424-5999 or contact us online to arrange a free consultation with an experienced Dallas amputation injury lawyer.